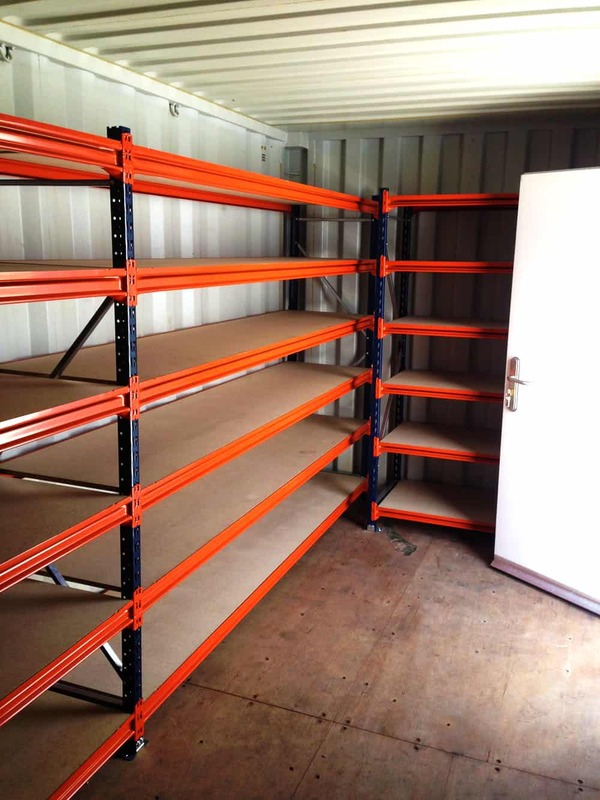 Get the exact shelving set-up you need with our bespoke container racking options. Buy a shipping container shelving system that maximises your container store. 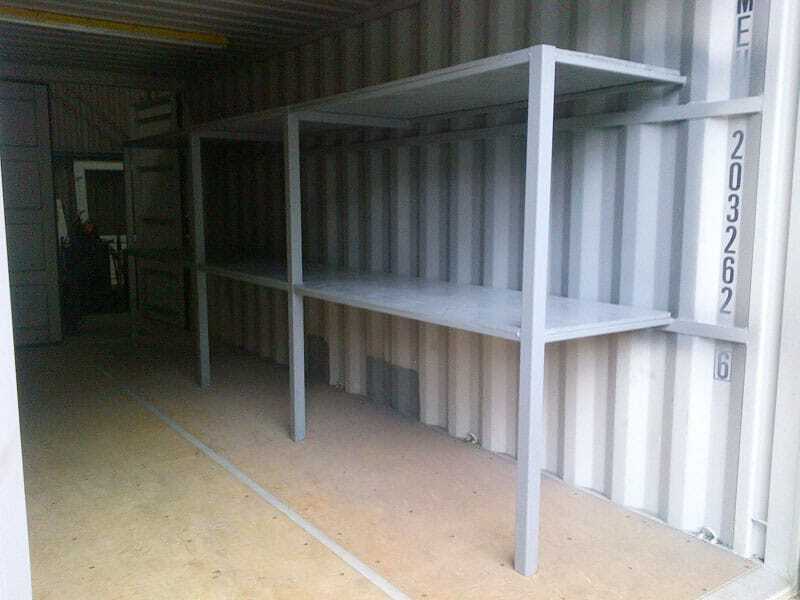 Are you looking for shipping container shelving for sale? You can purchase new or used container racking systems right here. Adding racking / shelving is an excellent way to get more out of your storage container. 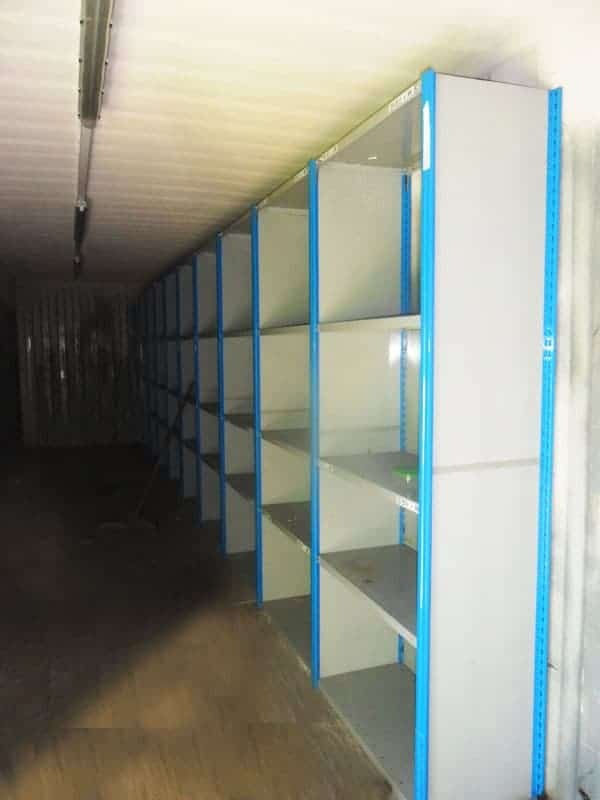 Whether your preference is to buy wooden or metal container shelving we can help you get it supplied and installed inside of your container, in one easy step. Prices are affordable and based on your specification. Container racking: Get more space and easily find what you need. No more frustrating moments of trying to find something in your container. By adding a combination of racking bay shelves you can move your items off the floor and into organised compartments. And because we also offer adjustable and bespoke racking you can get shelving at just the right height and width for your stored items. Ask for more details. Add lighting for extra convenience. The inside of a container can sometimes be dimly lit, especially at the front unless you have windows or extra doors fitted. That’s why you might choose to have lighting installed, making everything easy to find on your container shelf, even at night time. Your container has 8ft wide double doors which are typically 8’6 high (high cube’s provide 9’6 height) but you might want extra access points on your container, for example side doors for loading and unloading pallets. More accessories. Extra side door is ideal for loading and unloading pallets. 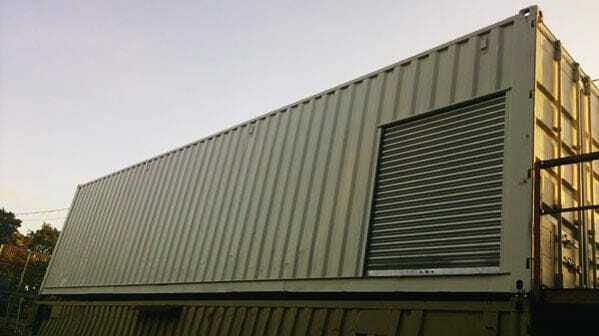 Adaptainer’s wide range of container conversion services mean you can achieve this and much more. Learn more about our latest accessories including shipping container shelving systems for sale by getting in touch online, or call 01473 281818.